As we launch this ninth edition of Understanding Normal and Clinical Nutrition, nutrition research continues to uncover the many complex relationships between nutrition and health. Together with other lifestyle practices, sound nutrition remains a cornerstone of good health status and disease prevention and treatment. Our goals for this edition are therefore to incorporate current research findings into these pages while retaining the core information necessary for a beginning course in nutrition. As with previous editions, each chapter has been substantially revised and updated. New topics, such as functional foods, nutritional genomics, probiotics, and bariatric surgery, are introduced and some existing topics more fully explored. The chapters include practical information and valuable resources to help readers apply nutrition knowledge and skills to their daily lives and the clinical setting. A main objective in writing this book has always been to share our enthusiasm about nutrition in a manner that motivates students to study and learn. Moreover, we seek to provide accurate information that is meaningful to the student or health professional. Students of nutrition often find the subject to be both fascinating and overwhelming; there are so many “details” to learn new terms, new chemical structures, and new biological concepts. Taken one step at a time, however, the science of nutrition may seem less daunting and the “facts” more memorable. We hope that this book serves you well. Understanding Normal and Clinical Nutrition presents updated, comprehensive coverage of the fundamentals of nutrition and nutrition therapy for an introductory nutrition course. The early chapters introduce the nutrients and their work in the body as well as recommendations about nutrition that are essential for maintaining health and preventing disease. 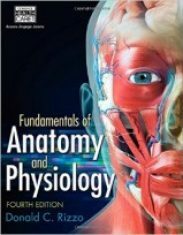 The later chapters provide instruction in clinical nutrition the pathophysiology and nutrition care for a wide range of medical conditions. The Chapters Chapter 1 begins by exploring why we eat the foods we do and continues with a brief overview of the nutrients, the science of nutrition, recommended nutrient intakes, and important relationships between nutrition and health. Chapter 2 describes the menu-planning principles and food guides used to create diets that support good health and includes instructions on how to read a food label. In Chapter 3, readers follow the journey of digestion and absorption as the body breaks down foods into absorbable nutrients. Chapters 4 through 6 describe carbohydrates, fats, and proteins their chemistry, roles in the body, and places in the diet. Chapter 7 shows how the body derives energy from these three nutrients. Chapters 8 and 9 continue the story with a look at energy balance, the factors associated with overweight and underweight, and the benefi ts and risks of weight loss and weight gain. Chapters 10 through 13 describe the vitamins, the minerals, and water their roles in the body, deficiency and toxicity symptoms, and food sources. 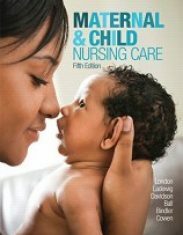 Chapters 14 through 16 complete the “normal” chapters by presenting the special nutrient needs of people through the life cycle pregnancy and lactation, infancy, childhood, adolescence, and adulthood and the later years. 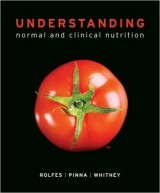 The remaining “clinical” chapters of the book focus on the nutrition care of individuals with health problems. 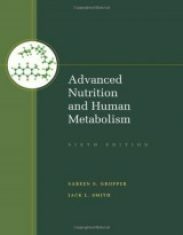 Chapter 17 explains how illnesses and their treatments influence nutrient needs and describes the process of nutrition assessment. Chapter 18 discusses how nutrition care is implemented and introduces the different types of therapeutic diets used in patient care. Chapter 19 explores the potential interactions between nutrients and medications and examines the benefits and risks associated with herbal products. Chapters 20 and 21 describe special ways of feeding people who cannot eat conventional foods. Chapter 22 explains the inflammatory process and shows how metabolic and respiratory stress influence nutrient needs. Chapters 23 through 29 explore the pathology, medical treatment, and nutrition therapy for specific diseases, including gastrointestinal disorders, liver disease, diabetes mellitus, cardiovascular diseases, renal diseases, cancer, and HIV infection. The Highlights Each chapter is followed by a highlight that provides readers with an in-depth look at a current, and often controversial, topic that may relate to its companion chapter. New to this edition is a highlight that examines the scientific evidence behind some of the current controversies surrounding carbohydrates and their role in weight gain and weight loss. Special Features The art and layout in this edition have been carefully designed to be inviting while enhancing student learning. In addition, special features help readers identify key concepts and apply nutrition knowledge. For example, when a new term is introduced, it is printed in bold type, and a definition is provided. These definitions often include pronunciations and derivations to facilitate understanding. The glossary at the end of the text includes all defined terms.